Today we’re launching a brand new careers initiative with a twist — #OneTweetCV. Twitter UK is offering five young jobseekers a unique work experience opportunity at its London HQ later this year. The twist is all applications need to be made through a single Tweet. To apply for the role, applicants simply need to Tweet using the official hashtag — #OneTweetCV. You’re encouraged to get creative, making full use of Twitter’s range of features (E.G polls, GIFs, videos, photos, Moments). 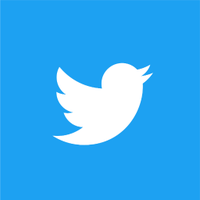 Successful candidates will each get to spend a day immersed within a variety of departments at Twitter UK, including Marketing, Engineering, Product, Sales, Recruitment and Twitter Moments. You'll also be able to specify an area of the business you’re particularly passionate about (e.g coding) and want to explore more extensively on the day. The opportunity is paid and the deadline to apply is 15th October, 2018. You need to be over the age of 18 to apply, with successful candidates to be contacted in due course via Twitter. #OneTweetCV comes as new data suggests savvy millennials are increasingly turning to Twitter for a direct line into potential employers. #Jobs has been one of the most popular UK hashtags in the past year, amassing more than 3.3 million mentions since August 2017. #Hiring was also one of the top UK hashtags, as employers engage in this conversation alongside job hunters. Our research suggests that 18-24-year-old’s are increasingly ditching traditional job applications in favour of approaching companies via social media. Around half of those we surveyed liked the idea of using Twitter to apply for jobs rather than writing a CV. What’s more, 70% feel that CVs don’t allow them to show employers who they really are*. Skip Buzzwords - if you wouldn’t say it in real life, why say it on Twitter? Don’t ‘reach out’ or ‘touch base’... say hi! * Source: Twitter Insiders 2018.